Dance Jobs>Teachers & Choreographers>Dance Studio Manager & Ballroom and Latin Dance Teachers WANTED!! CareToDance Group is Australia's most reputable Ballroom and Latin Adult Dance Company with locations all around Sydney. 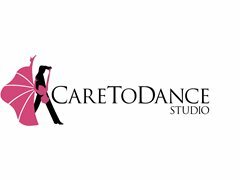 With the success and growth of CareToDance Group, multiple opportunities have arisen for young and fit male and female instructors with onsite training provided (dance experience is NOT required) and a fit Studio Manager. Have a positive can-do attitude with good communication skills. All Successful candidates will be remunerated with a competitive salary package, dependent on experience and will also have the opportunity to earn bonuses and commissions dependent on overall performance. In this role you will be joining a company with a strong client focused culture who will give you the tools to succeed and grow with the business.